Thanks to one pair of adventurers, Maui’s North Shore is now home to Hawai‘i’s latest and, perhaps, chicest group of émigrés: the Argentinians. Meet two of the best neighbors to have on Maui: world champion windsurfer Francisco Goya and his wife, fashion icon Tamara Catz. Big dreamers and savvy entrepreneurs, they build sturdy foundations under their castles in the sky and then invite everyone over to share in their success. Since Catz and Goya met on Maui, these truly trendsetting porteños, or natives of Buenos Aires, have become the anchors of a growing community of dashing Argentinian expats. Goya didn’t need convincing. “For windsurfing, it doesn’t get any better anywhere else in the world. You can’t duplicate the wind and the waves here on Maui.” Capitalizing on this perfect environment, Goya opened a sail loft and factory in Ha‘ikū—mere minutes away from the prime surf spots where he could test his equipment in the elements. His two brands—Goya and Quatro—feature some of the sport’s most cutting-edge and creative designers. And while Goya’s loft is closer to jungle than city, it has all the luster of an artist’s studio in Soho. Eventually, Catz got into the Maui groove, too, launching a fashion line to meet the needs of stylish islanders. Before long, her designs made their way off the island and right into the pages of Sports Illustrated, Lucky, InStyle and Vogue among others. In 2005, she opened her flagship boutique on Hāna Highway. “People asked me, ‘Really? 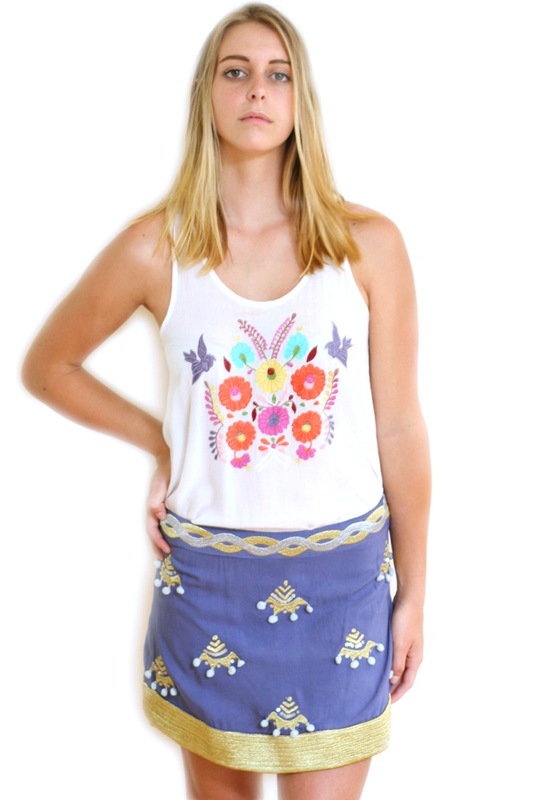 You’re going to invest in Pā‘ia?’” Catz recalls. At the time, Pā‘ia was a hippy surf town that had plenty of charm, but lacked sophistication. That all changed after Catz transformed her storefront into a stylish enclave. Other shop owners followed suit. In fact, next door to Catz’s boutique, her brother-in-law, Alejandro Goya, opened Paia Contemporary Gallery. Though small in space, it packs an aesthetic punch, regularly showcasing museum-quality modern artists. It’s clear that Goya and Catz are sharing this same kind of irrepressible enthusiasm with the next generation. 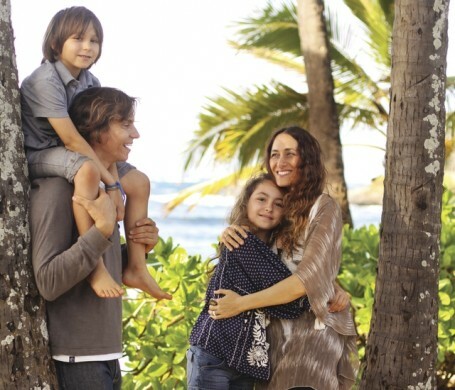 Their daughter, Luna, and son, Teo, spend half the year attending Haleakalā Waldorf School and the other half accompanying their globe-trotting parents on adventures. Perhaps, the Argentinian wave in the islands has only just begun. 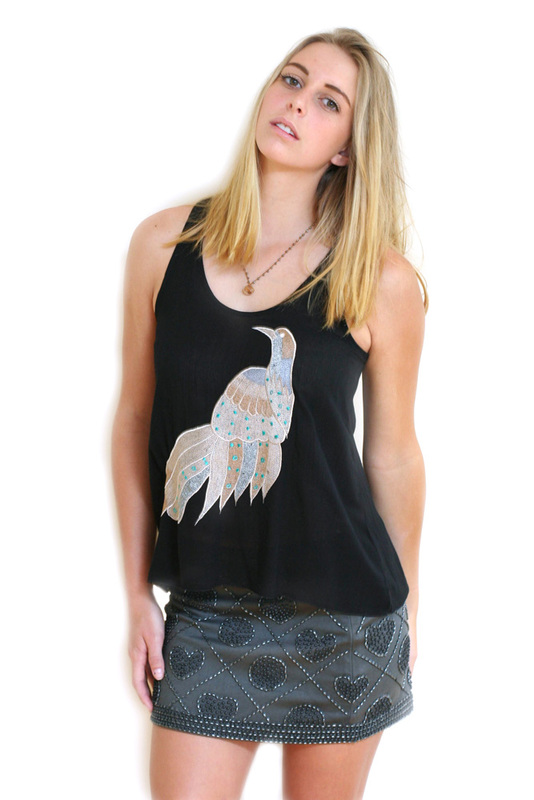 Easy and Fun, to dress up or down with these embroidered one of a kind Tamara Catz tanks. 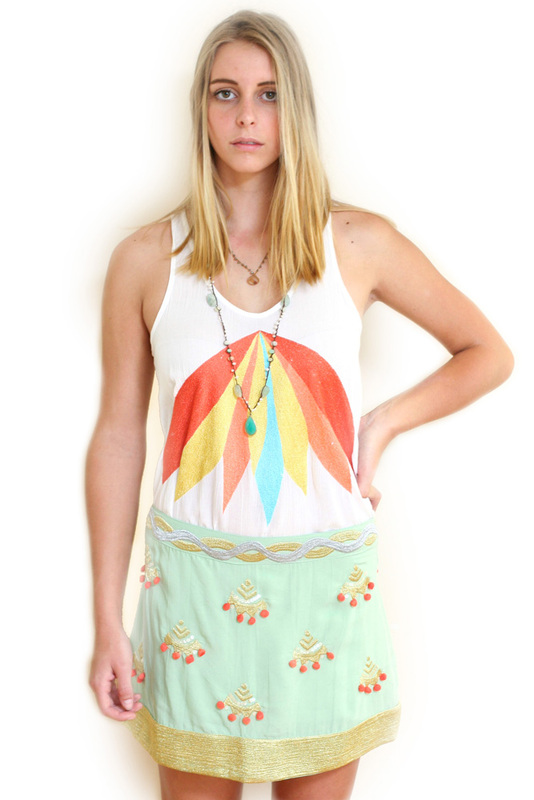 Our favorites in Maui and Venice to wear over jeans, shorts or these cute embellished skirts. Fit everyone, with love and Aloha!